Sightseeing. Nature Tours. Fishing Charters. Enjoy fabulous sightseeing and nature tours and fishing charters. We cruise the waters of the Salish Sea from Qualicum Beach to Nanaimo and West Coast of Vancouver Island from Port Alberni to Bamfield. 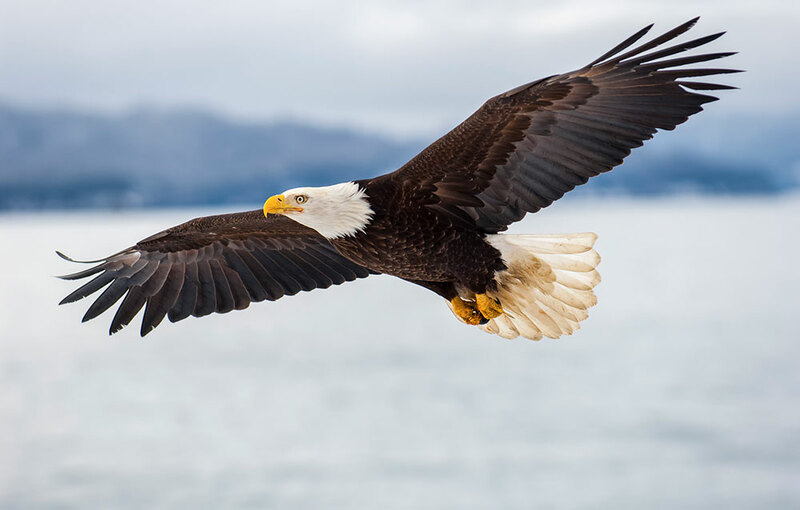 See marine wildlife including seals, sea lions, eagles, and many other birds. See a lighthouse from the water up close. On some occasions, you may see cruise ships or navy ships as they practice in the Whiskey Golf test range. Don’t forget your camera! 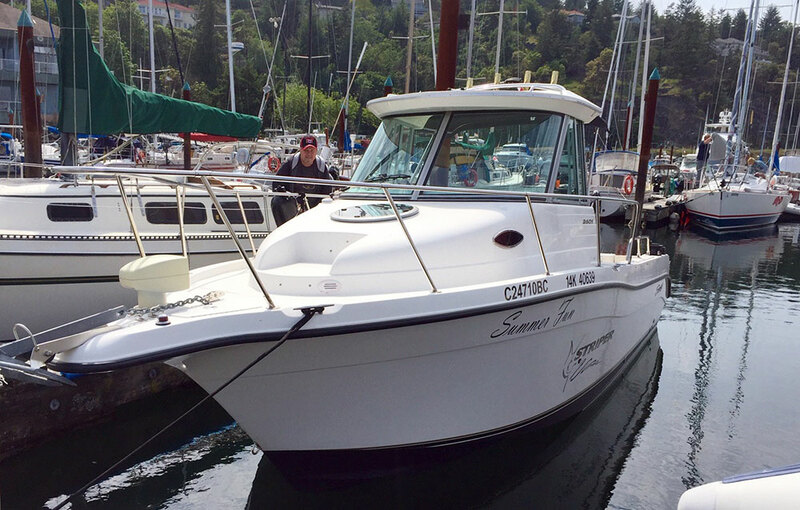 In the Salish Sea we’ll cruise around some Northern Gulf Islands and when possible dock and enjoy a meal, included in the price! 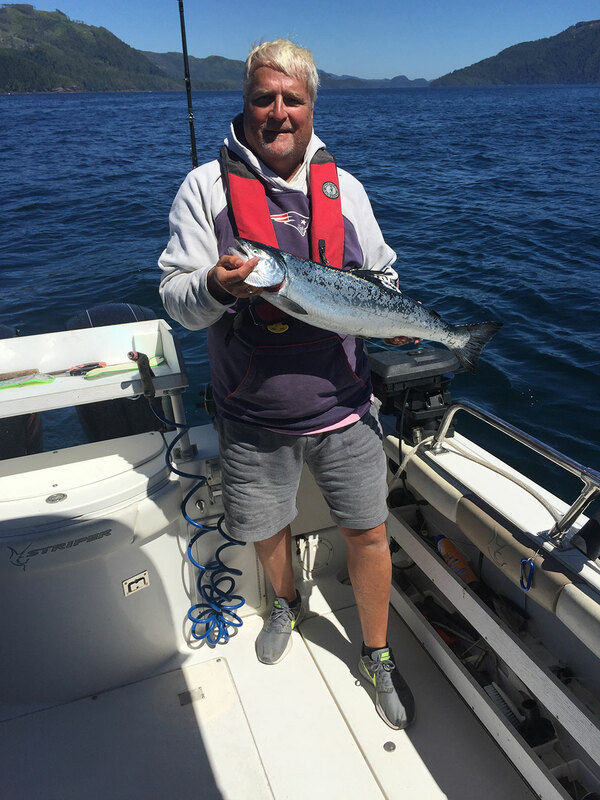 For those who wish to experience the North end of Vancouver Island custom multi-day tours and fishing trips can be organized – see whales, porpoises and other sea life and experience sport fishing for salmon, lingcod and halibut. All this on our 26-foot Striper Transport Canada registered boat. Alternatively, we can design a custom tour for your party, perhaps a sunset cruise. 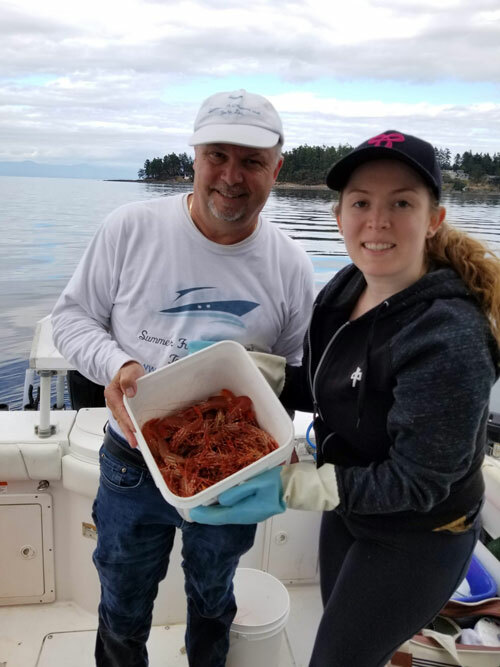 Fishing charters on the local waters are a specialty and include prawning for B.C. spot prawns. Your host is Tony Pisto who was born on Vancouver Island and has been boating for more than 40 years. 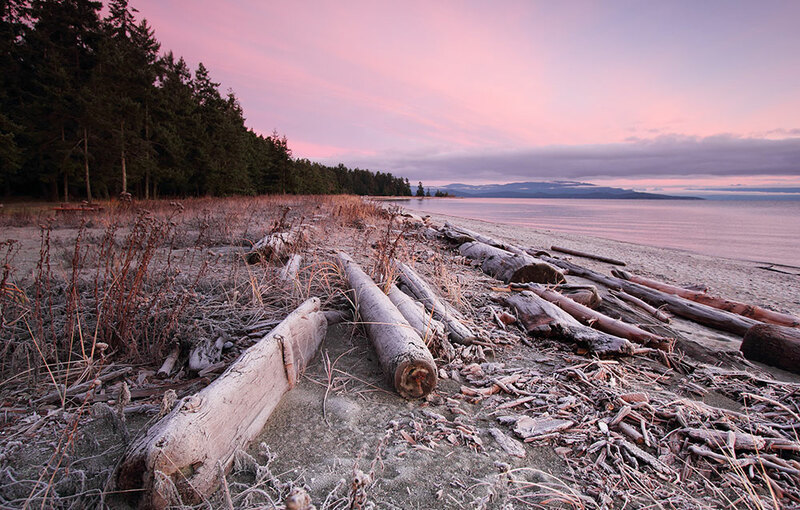 See the beautiful beaches and mountains of Vancouver Island. See the world’s longest cable ferry. Set foot on Denman and Hornby Island and enjoy a meal. 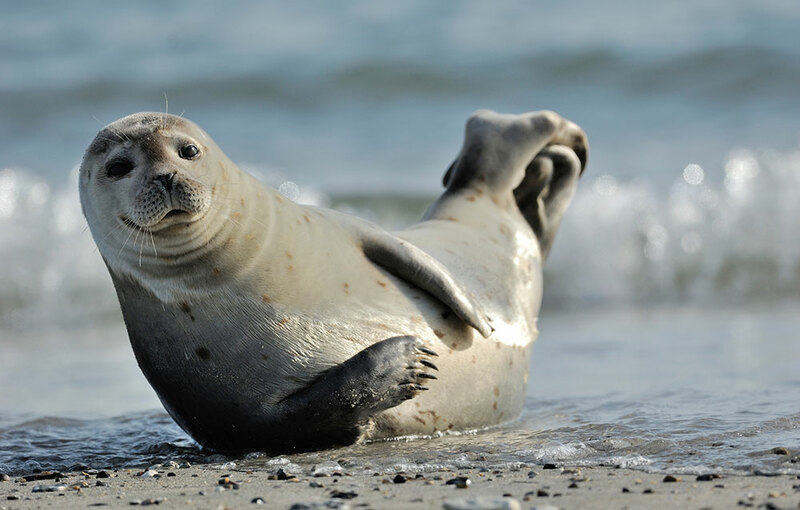 See Lighthouses and sea life. See towering cliffs of the fiord and all kinds of sea activity as we navigate the 25 mile Alberni Canal to Bamfield. Enjoy a walk on the Bamfield boardwalk and a light lunch. Feel the swell of the Pacific Ocean and see the beautiful Broken Group islands. Visit Cathedral Grove and see giant 300 year old trees. 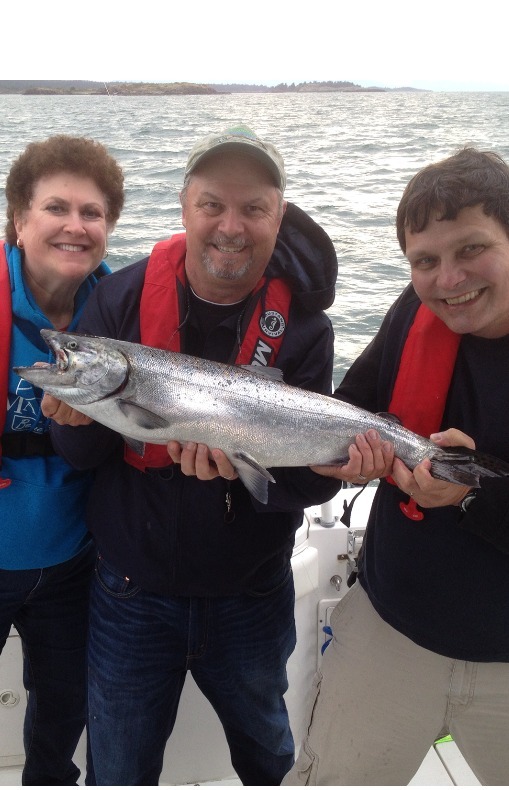 Experience fishing for salmon on the productive fishing ground near Parksville. All gear as well as light snacks and drinks included. Enjoy 3 full days of fishing for salmon, ling cod and halibut on the West Coast of Vancouver Island. See sea otters and the famous rugged scenery – next stop is Japan! Enjoy any combination of whale watching, grizzly bear tours, kayaking, hiking and fishing while enjoying the magnificent scenery of this beautiful area of B.C. All costs include transportation from any place Parksville or further North on the East Coast of Vancouver Island. It can be a sightseeing tour of the many interesting places in the Parksville/Qualicum/Port Alberni area, a multi-day tour of the North End of Vancouver Island and can include any combination of fishing, whale watching, kayaking, hiking and even a grizzly bear tour. How about a sunset cruise or a trip to Nanaimo via the ocean? Maybe go for prawns with or without salmon fishing trip or an extended tour. Our goal is for you to feel and experience the waters of supernatural British Columbia and to create unforgettable memories that last a lifetime. Book A Tour or Ask a Question! Make sure to pick up your fishing licence from DFO before your trip!